I recently blogged about my Easter decorations on the little tree in our front yard. 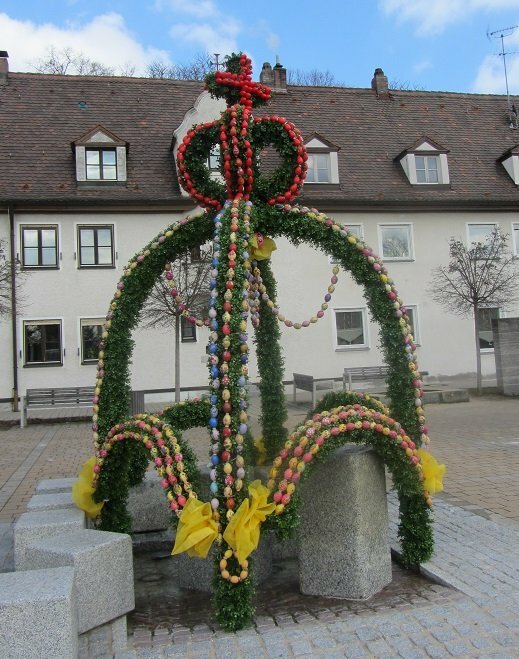 My husband complained that our bush is a little pathetic and doesn't give the true flavor of Easter decorations in Germany. First step, I added more eggs to pep it up. More = better, right? 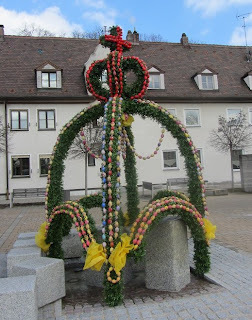 Anyway, I decided to rectify my portrayal of Germany online. People in our area of Germany go all out at Easter time, building structures over the fountains, and painting eggs in glorious detail. This amazing volunteer work is generally organized by church groups or senior citizens. Here are some pictures of Easter decorations on fountains within ten minutes of my house. 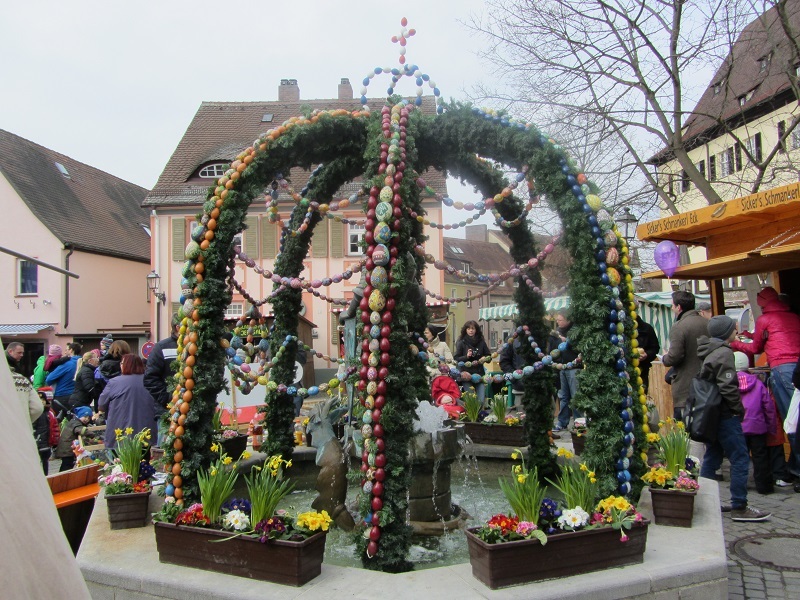 Besides the Easter fountains, what's different about Easter in Germany? Well, we have Good Friday off work, but also Easter Monday. Woohoo! Four days in a row! Beyond that, there are a lot of similarities to the States. Easter bunny...Easter baskets...chocolate. But...there are no Peeps in Germany! And jelly beans are just beginning to make their way here, although I don't think they're considered Easter candy. 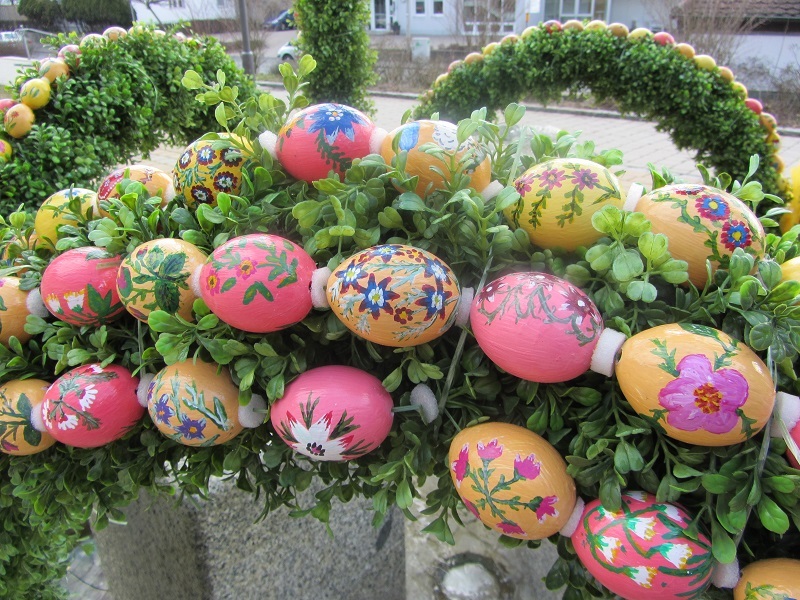 So, who's planning on making their own Easter bush this year? 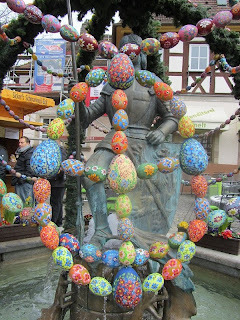 Wishing you all a Happy Easter!